Remember the Neonode N1? We surely do, as it was one of the most unique phones when it was announced, something like the iPhone in the end of last year. 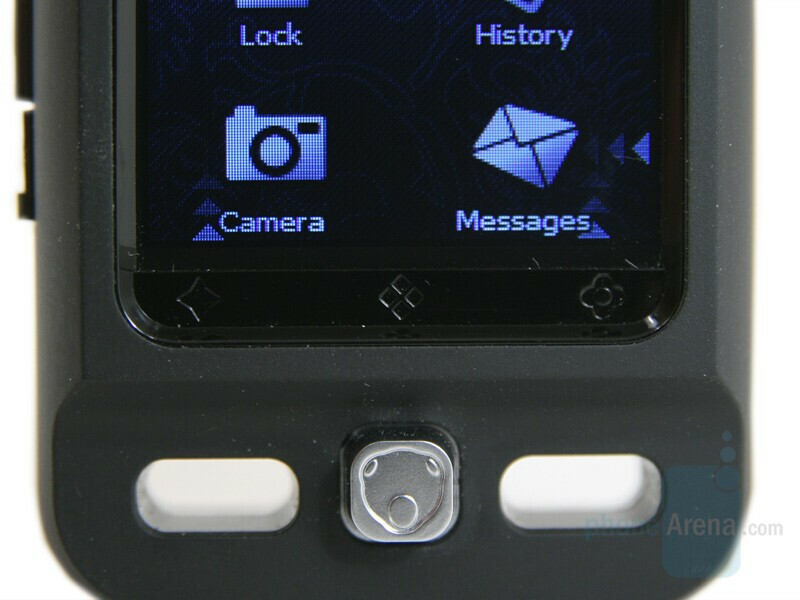 The N1 was a small but powerful multimedia device with touchscreen, strange interface and just a few hardware buttons. Unfortunately it appeared on the market (in small amount) years after that and didn’t have much success. 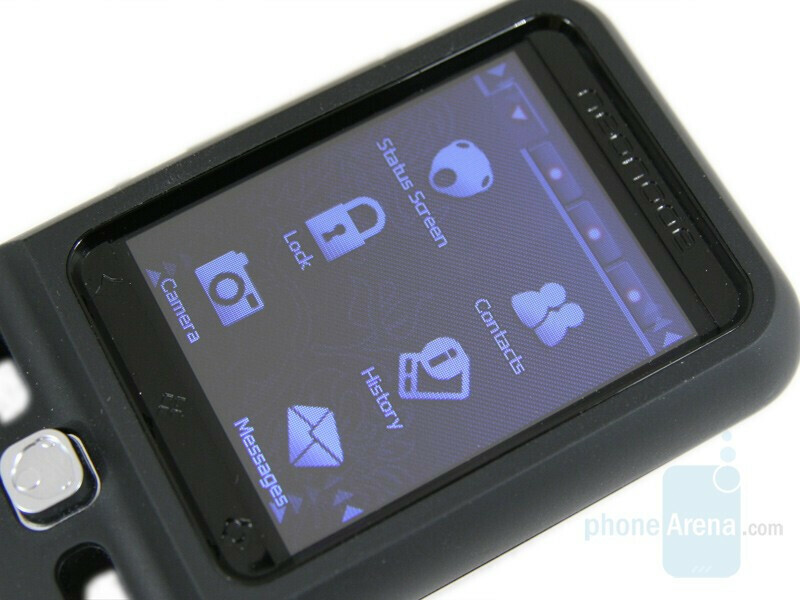 In February 2007, the Swedish manufacturer announced the second generation phone, the Neonode N2 which we are happy to present you here. 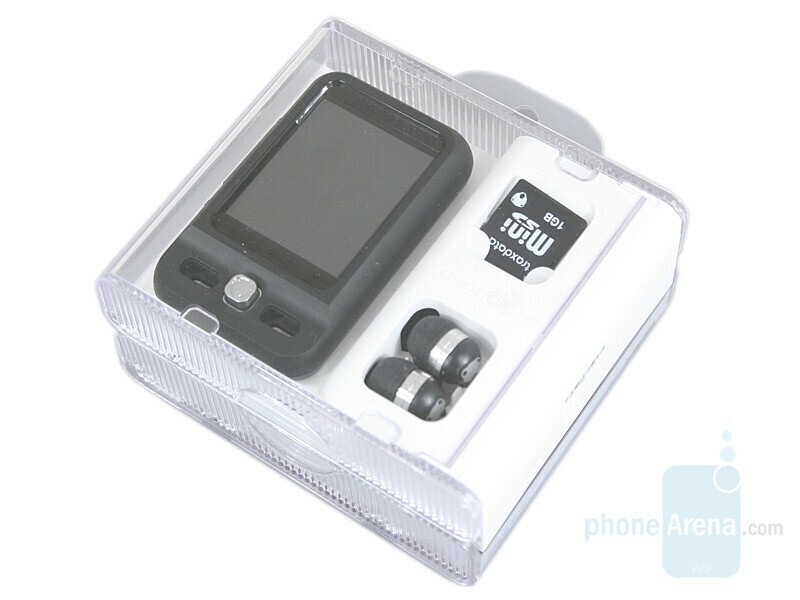 It builds on the first one using the same OS and comes in even smaller dimensions that allow it to be packed in ultra small transparent package that definitely looks as unique as the phone itself. Printed user manual is missing, probably because it would require too much space and the box would have to be enlarged. Neonode has excellent one available in Adobe PDF format over its site, so if you are interested please use the link on the left. Neonode N2 is definitely unique in terms of appearance, because it is the smallest phone, controlled through a full sensor display. Next to the compact HTC Touch Diamond, N2 is like a baby, and compared to the iPhone 3G or HTC Touch HD, it is like David facing Goliath. 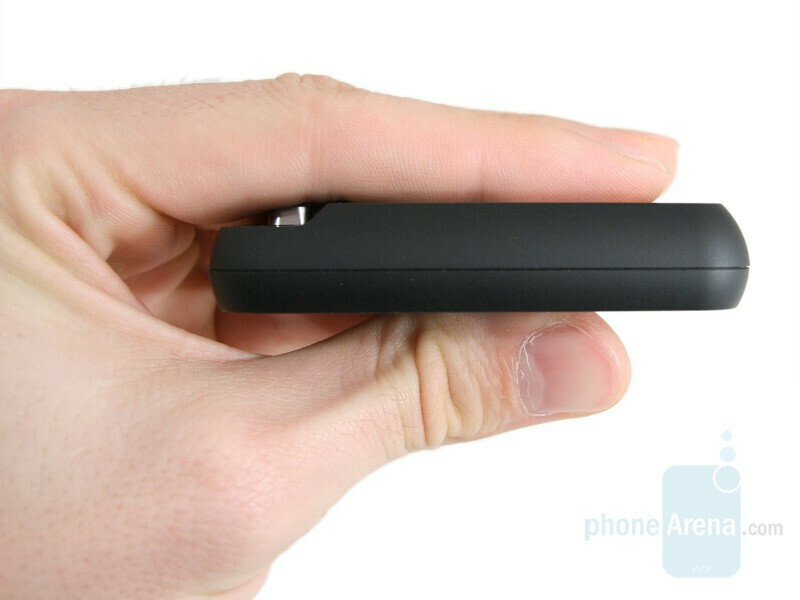 It rather looks like a tiny music player or some modern gadget. It is so small, that sometimes you might think you’ve lost it. Despite its size, it is made out of rubber-coated plastic nice to the touch, which prevents it from sliding from your hand. There are two holes in its lower part, which contribute for its uniqueness but have no clear purpose. The only thing we know is that in one of them is located the microphone. As a matter of fact, an interesting thought passed through our heads; we wanted to tie a hand strap but there wasn’t one present in the package. You can compare Neonode N2 with many other phones using our Size Visualization Tool. In the classic black, N2 is not as attractive as the other three colors offered: Azure, Lime and Rubine. There’s also a pink version but no information on the release date has been confirmed. According to us however, Neonode N2 will always make you stand out in the crowd no matter the color, because during a call, everybody will be staring at you very, very strangely. This will be thanks to the way you have to talk using the device. After initiating a conversation, you’ll have to turn the phone around with its back next to your ear, because that’s where the speaker is located. At first, you may feel confused but you’ll get used to it in time. 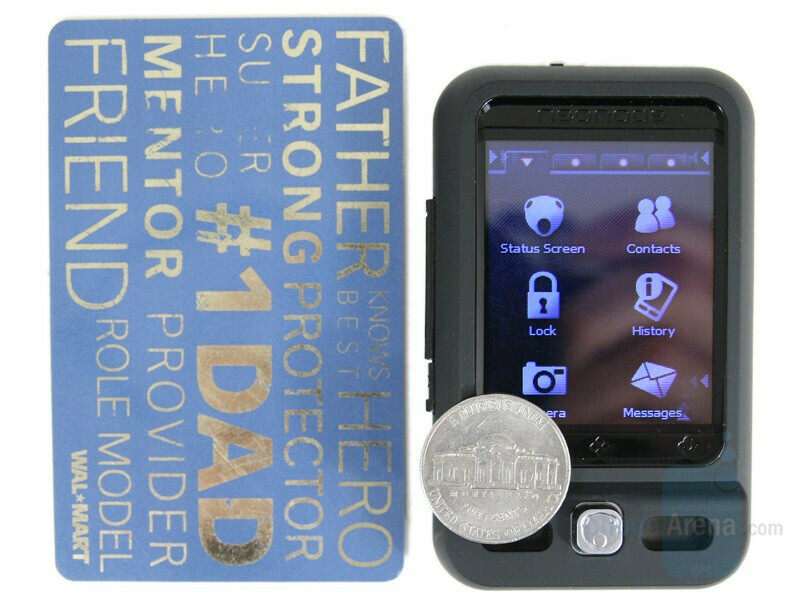 The small size of the device creates an illusion that the 2” screen is larger. Unfortunately, it has a resolution which is not up to today’s standards (176x220), which however is usable in direct sunlight. The only thing that will limit its use in such conditions is if you have put a few fingerprints on the screen, causing a stronger reflection. The interesting thing here is the technology employed (zForce), which is based on infrared and cannot be seen in other phones with sensor displays. It reacts to touch with any objects, and you actually don’t have to press the display since it is activated by a very gentle touch. If you’d like to get more information on the various technologies available, please read our article about the touch screen technologies. Besides the display, you can use the 4-way joystick to navigate through the menus but we do not recommend it. It has a very short drive in all directions and is very hard to press. We can’t imagine a worse joystick. 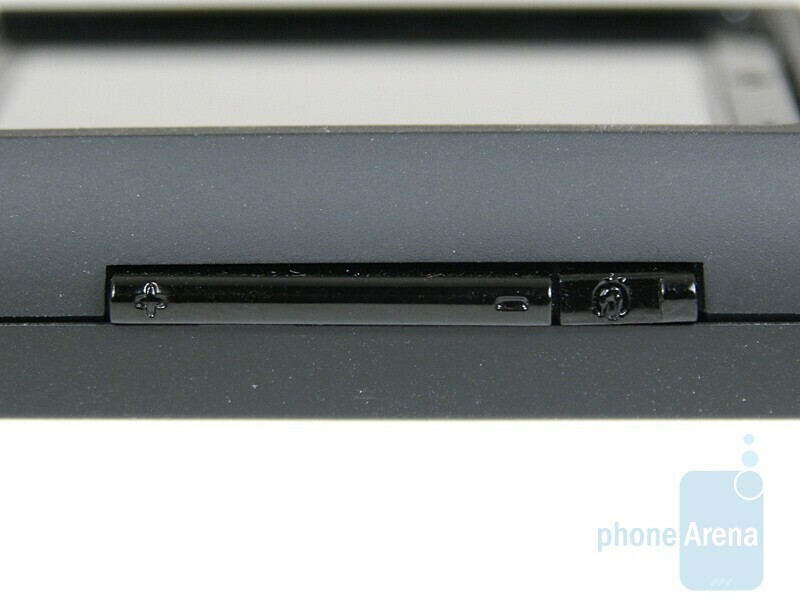 The other two hardware buttons (to power on/off or lock/unlock and volume control) are located on the left side. The first one is very small and hard to use in contrast to the large volume control. 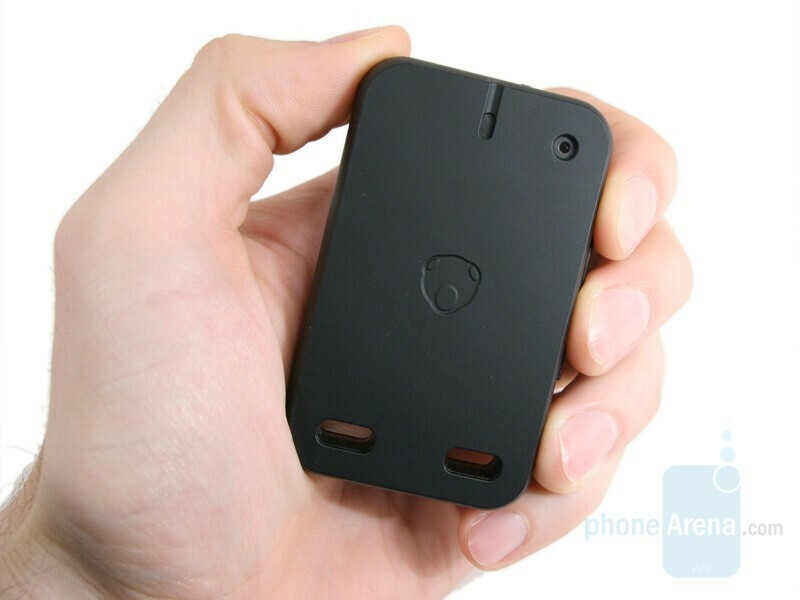 On the back also is situated the 2-megapixel camera, but its lens is very small and almost unnoticeable. Next to it, there’s another opening, which also looks like a camera lens but is actually the speaker. The only connector is located on the top. 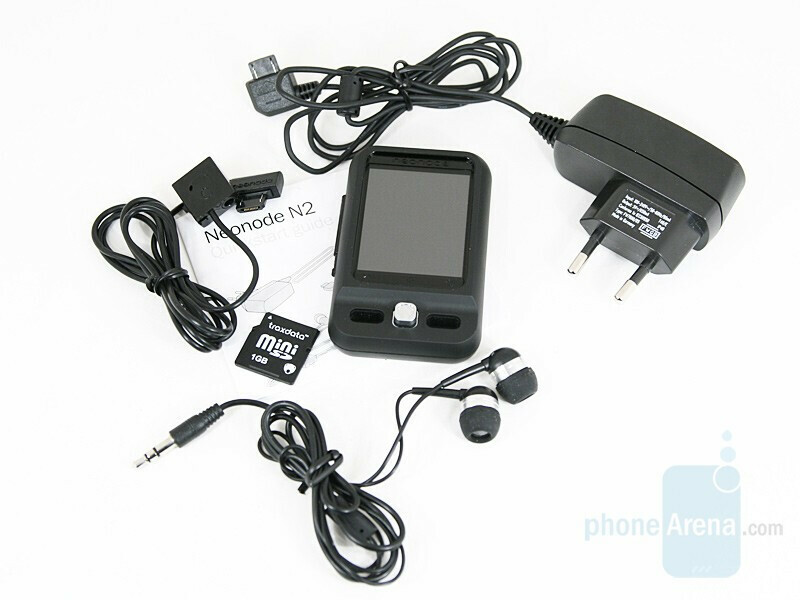 It is a proprietary for Neonode and to it are connected the charger, the USB cable and the adapter for the headphones. 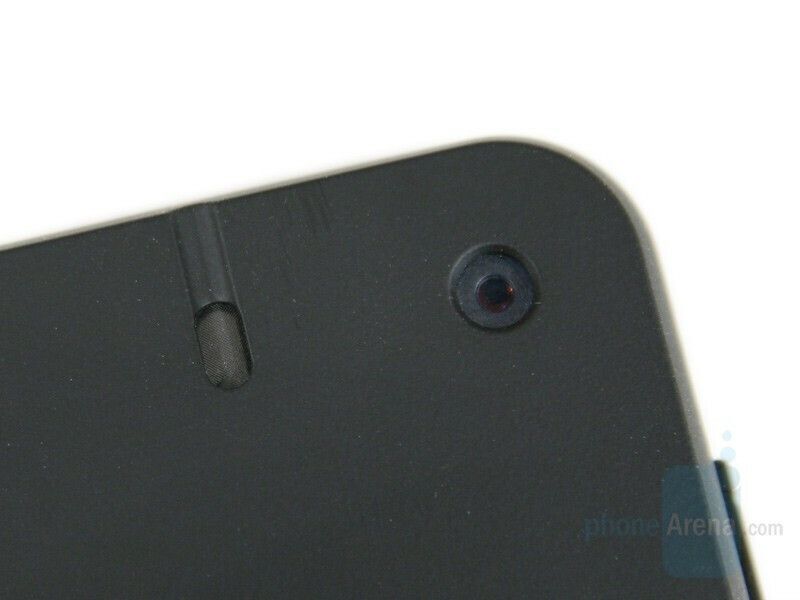 Right next to it we see the slider to lock/unlock the battery lid. Lots of specialists tell that mortgage loans aid a lot of people to live the way they want, because they are able to feel free to buy necessary stuff. Furthermore, a lot of banks present consolidation loan for young and old people.